Springtime flowers in a necklace! 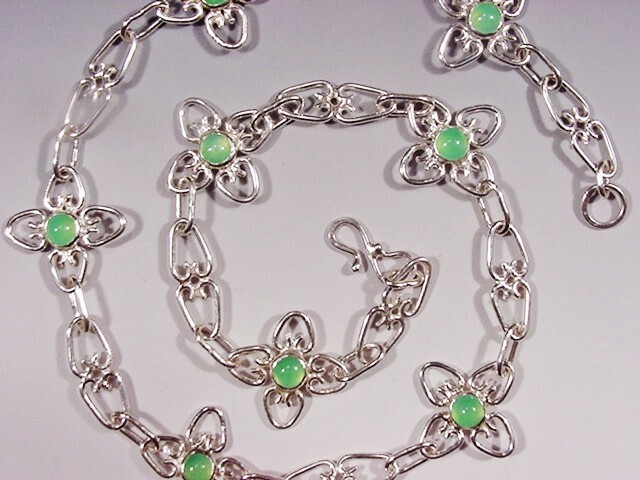 Sterling silver, bright green Australian chrysoprase. This necklace is 16" long and has 8 flowers 3/4" each.